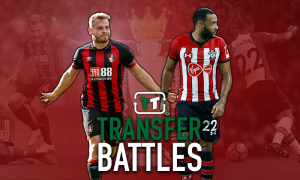 Bournemouth handed major injury blow | The Transfer Tavern | Where football transfer rumours fly or die! The Bournemouth fans are gathered around the bar here in The Transfer Tavern discussing reports that they could be set to lose a key player through injury over the festive period. The Bournemouth Echo is reporting that Artur Boric, who has played just once in the sides last seven league and cup games through a groin and knee injury, could be set for further time out over the Christmas period. The Echo has published unconfirmed reports from Poland that the big goalkeeper may have to have surgery on the injury, which is likely to result in some recovery time on the sidelines. 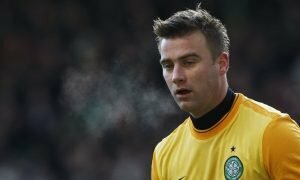 With Boruc injured that leaves Bournemouth with Adam Federici and Ryan Allsop as the only options- and with Federici himself suffering an injury against Everton last week, and leaving the ground on crutches, changes have had to be made. The club have had to recall teenage goalkeeper Jordan Holmes from his loan spell with Weymouth, as it now looks likely that Allsop will be the only goalkeeper with first team experience available for selection this weekend. The Bournemouth fans in The Transfer Tavern are cursing their sides luck with injuries so far this season, and hope the players that come in can do a job and help them achieve survival on the Premier League this season. Bournemouth fans, what signings do you need in January? Let us know in the comments below!